Lactose (milk sugar) is a type of sugar that is not fermentable. It remains in the finished beer giving it a smooth silky mouthfeel, and a bit of sweetness and body. Honey on the other hand, when used in primary fermentation, ferments out completely, giving a drier character to the beer. In this beer they balance each other out, resulting in a pleasantly sweet beer with a clean finish. Kevin D. is drinking a Milk + Honey by Moustache Brewing Co. at Moustache Brewing Co.
Earned the Middle of the Road (Level 93) badge! Earned the Draft City (Level 55) badge! Earned the Bravo for Brown badge! Wizard R. is drinking a Milk + Honey by Moustache Brewing Co. at Moustache Brewing Co.
Todd L. is drinking a Milk + Honey by Moustache Brewing Co. at Moustache Brewing Co.
Earned the Cheers to Independent U.S. Craft Breweries (Level 73) badge! Earned the Draft City (Level 84) badge! Jude R. is drinking a Milk + Honey by Moustache Brewing Co.
Jeff S. is drinking a Milk + Honey by Moustache Brewing Co.
Gillian C. is drinking a Milk + Honey by Moustache Brewing Co. at Moustache Brewing Co.
Earned the Cheers to Independent U.S. Craft Breweries (Level 13) badge! Earned the Land of the Free (Level 50) badge! Stacey H. is drinking a Milk + Honey by Moustache Brewing Co. at Moustache Brewing Co.
Tim D. is drinking a Milk + Honey by Moustache Brewing Co.
John S. is drinking a Milk + Honey by Moustache Brewing Co. at Moustache Brewing Co.
Earned the Cheers to Independent U.S. Craft Breweries (Level 13) badge! Earned the Middle of the Road (Level 23) badge! Earned the Land of the Free (Level 92) badge! Earned the Cheers to Independent U.S. Craft Breweries (Level 11) badge! Earned the Middle of the Road (Level 21) badge! Earned the Taster, Please (Level 9) badge! Bill L. is drinking a Milk + Honey by Moustache Brewing Co.
Tee L. is drinking a Milk + Honey by Moustache Brewing Co. at Moustache Brewing Co.
Earned the Beer Gathering badge! Earned the Cheers to Independent U.S. Craft Breweries (Level 6) badge! Ken B. is drinking a Milk + Honey by Moustache Brewing Co. at Moustache Brewing Co. Beau is drinking a Milk + Honey by Moustache Brewing Co. at Moustache Brewing Co.
Earned the Verified Adventure (Level 10) badge! Earned the Middle of the Road (Level 40) badge!  John is drinking a Milk + Honey by Moustache Brewing Co. at Moustache Brewing Co.
Kate P. is drinking a Milk + Honey by Moustache Brewing Co.
Earned the Brewery Pioneer (Level 3) badge! Earned the Wheel of Styles (Level 8) badge! James S. is drinking a Milk + Honey by Moustache Brewing Co.
Jetty 4 Lager Westhampton Beach Brewing Co.